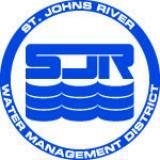 The St. Johns River Water Management District is one of five water management districts in Florida tasked with managing, preserving and protecting water resources above and below the ground. The St. Johns District is responsible for an 18-county region in northeast and east-central Florida. The District’s duties include issuing permits that regulate water withdrawals and limit how various activities, such as construction, can impact water resources; mapping groundwater and surface water resources; conducting research about the quality and quantity of water; and buying land to preserve or restore vital wetlands and water resources.